Nobody can miss a moving billboard! Bring your message right to your consumers, whether they are sitting, standing, walking or driving. 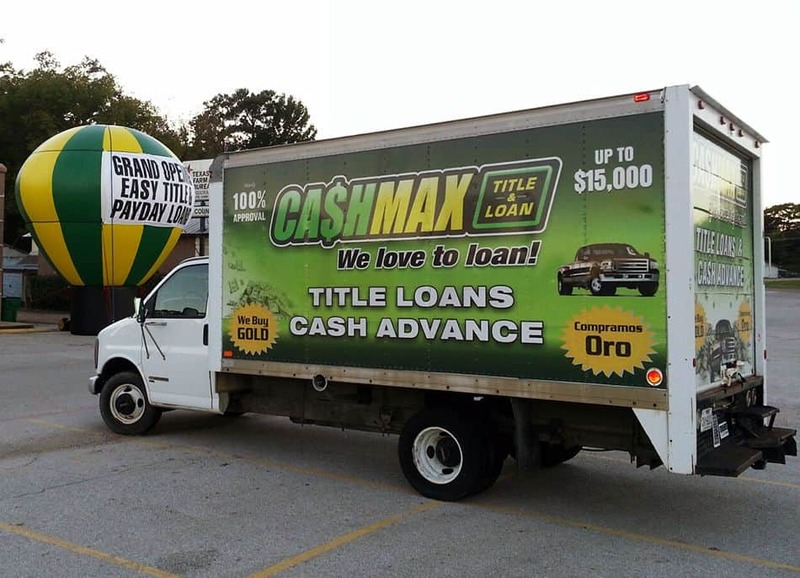 Mobile billboards and vehicle wraps always command attention, meaning your message or promotion gets noticed! When you need a powerful way to get your brand out there, use something that’s on the move, just like your customers! Consumers are always on the go. From driving to work to picking kids up from practice, it makes sense that your advertising should move with them. Mobile billboards or vehicle wraps are impactful ways to turn heads and attract their attention on every outing. Take your advertising on the go with an advertising opportunity that promotes your brand to everyone near it! Things that grab attention and put a smile on consumer’s faces get remembered. 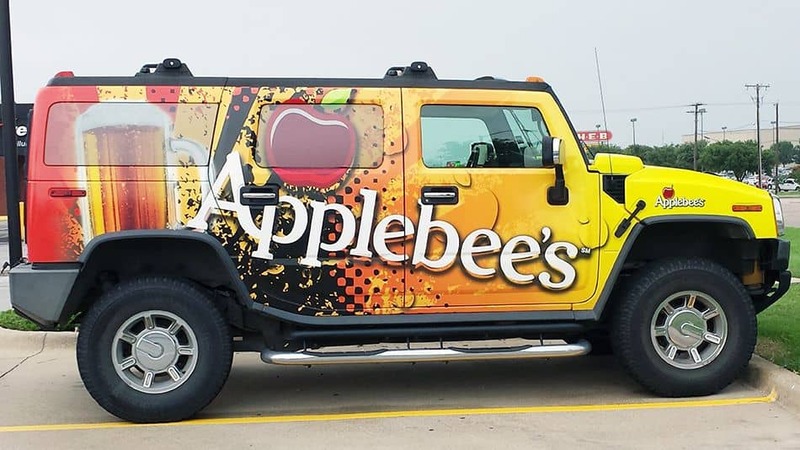 The fun and colorful design of car wraps and truck wraps means your brand is associated with ‘look at that cool car’ or ‘that neat billboard passing by’. The beauty of mobile billboards and vehicle wraps is that you can target customers in any area, any time of day. This puts you in front of the people who need your services. Get tens of thousands of impressions a day from the target market who you want to reach most. 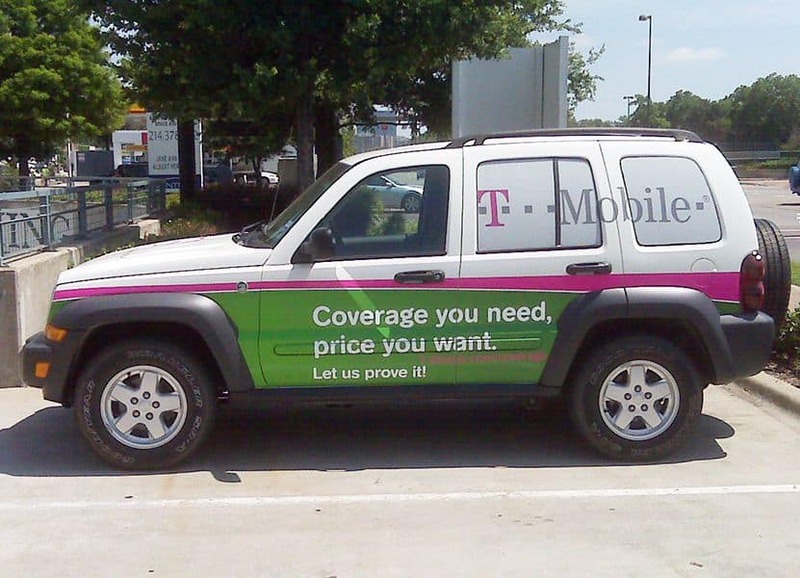 Every vehicle wrap or mobile billboard has been professionally designed specifically for your message and your vehicle. From the actual messaging to the layout, we’ll put our design skills to work so you have the most eye catching advertisement on the road! 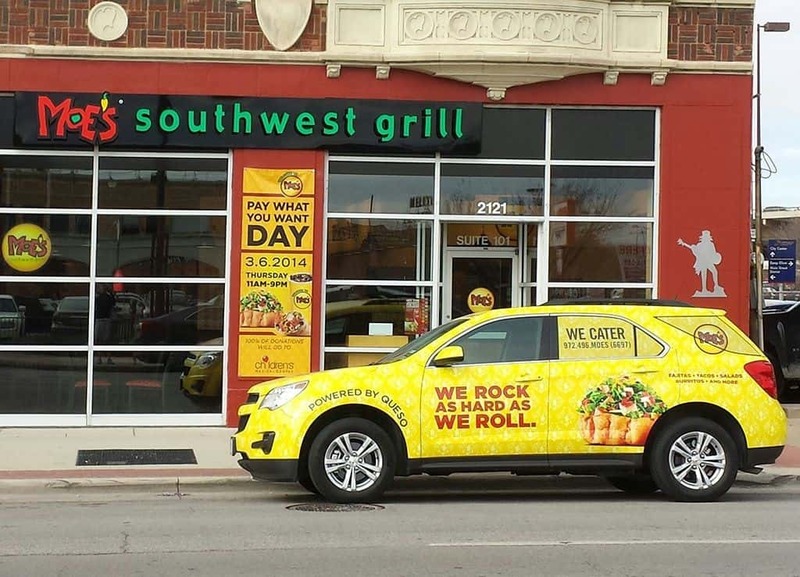 With the number of impressions that an on-the-go advertisement like car wraps gets, they are seen by tens of thousands of consumers and last for several years. 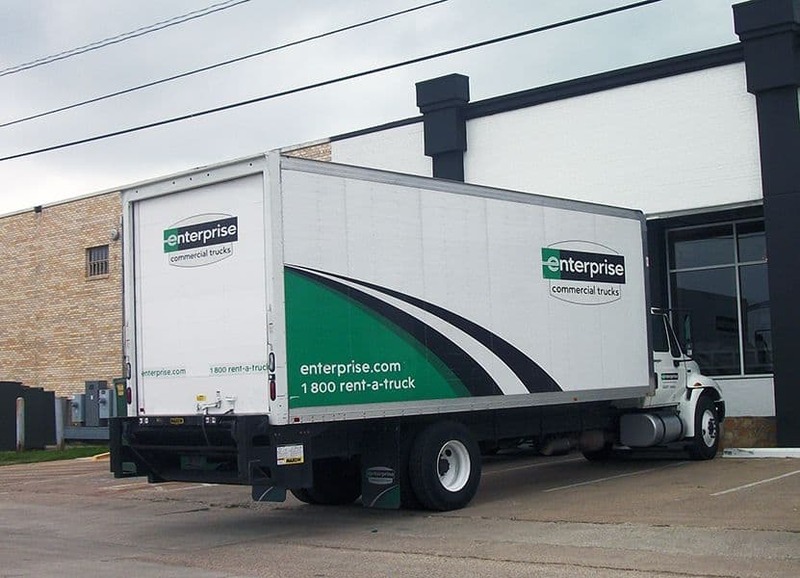 Mobile billboards get the same number of impressions, but are typically rented, so the cost is even lower. Whether you’re looking at a mobile billboard or a car wrap, they will withstand the elements! No need to worry about your car wrap fading or peeling off, three years from now, it will look as good as did on day 1. Vehicle wraps are a combination of solid vinyl and perforated vinyl – perforated on the windows so passengers can still see out. Mobile billboards are vinyl. Most vehicle wraps can last from 2-8 years depending on how the vehicle is maintained. Mobile billboards last a long time too, but the message usually goes out of date before anything happens to the vinyl. Vehicle wraps can be removed from your vehicle and leave no remaining effect on your vehicle. Vehicle wraps and mobile billboards are applied in sheets of vinyl. The vinyl used is made for this application and has a top clear cover called a laminate. When the wrap is installed, it covers the existing paint of the vehicle. When done correctly the finished product will resemble a painted surface free of any bubbles. With car wraps, since you are applying the graphic to your vehicle, you do not need a permit. Mobile billboards do not need a permit either. Air Ad Promotions uses the finest materials available and has highly-skilled installers that create and install vehicle wraps and design mobile billboards. The production and installation is a relatively short process, but depends on the type of vehicle and complexity of the design. Your vehicle wrap may be a simple design on one side of your vehicle or a complete wrap from fender to bumper. 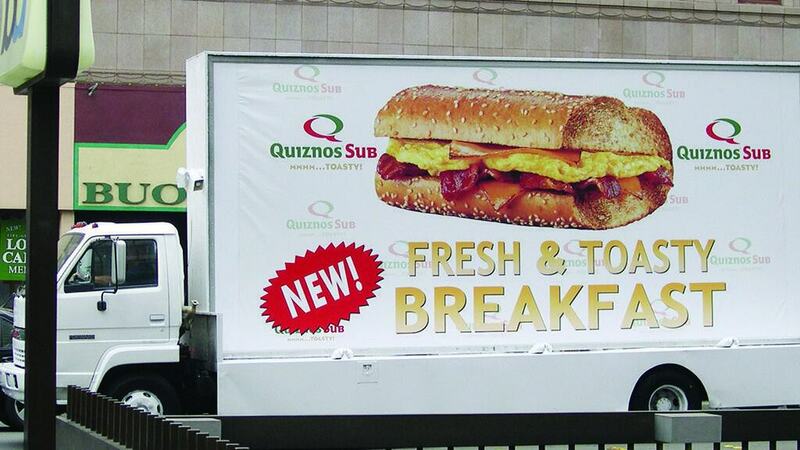 Mobile billboards apply your message to a piece of large vinyl. Then the vinyl becomes the billboard. Get your message on the move today, contact us to find out more!